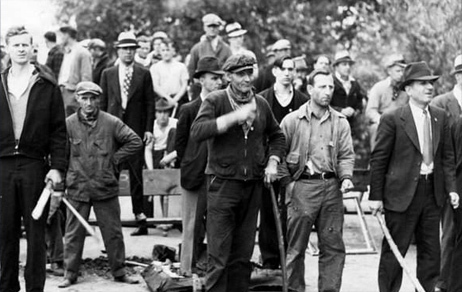 Learn when labor strife turned Monroe into an armed camp and riveted national attention. 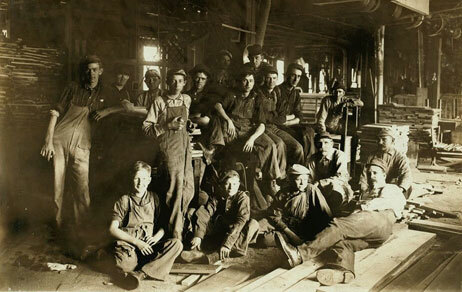 The world in which workers lived influenced their efforts to organize. Employers needed constant production to satisfy consumer demand in boom times. In bad economic times, jobs disappeared and workers suffered. Wars forced employers and workers to compromise. Immigration added cheap labor to the marketplace. Social change movements made people more aware of unfair or unsafe practices. All of these factors and more played a role in the rise of organized labor. Some of these factors contributed to the decline of unions. Follow the timelines to see what happened. School and special tours for private groups can be arranged. For more information, contact info@monroelabor.org. Meeting hall and exhibition facilities are available for use by organizations and individuals. Charges may apply. For more information contact info@monroelabor.org.